MGP VX7 Extreme Scooter - Radioactive Limited Edition Scooter Madd Gear pushed the graphic design boundaries with previous Extreme scooters which featured the hydro-wrap graphic application process, and the MGP VX7 Extreme Limited Edition range is no different. The reaction to the Limited Edition designs released by Madd Gear was phenomenal and demand far exceeded our expectations. Again for 2017, we will see the release of new designs over the coming months, available only to pre-order and in very limited numbers, so please order early to avoid disappointment! The all new VX7 Extreme Limited Edition scooters from Madd Gear feature only the best components including a brand new 3D forged, 6061 alloy 120mm IHC fork with CNC machined cut out for weight reduction, without compromising on strength. In addition to the new lightweight forks, MGP have added their new, upgraded K-3 (ABEC-11 rated) bearings to the MFX Switchblade wheels and added them to the MGP VX7 Extreme range making these scooters the only scooters to feature Ryan 'RWilly' Williams Signature wheels as standard. 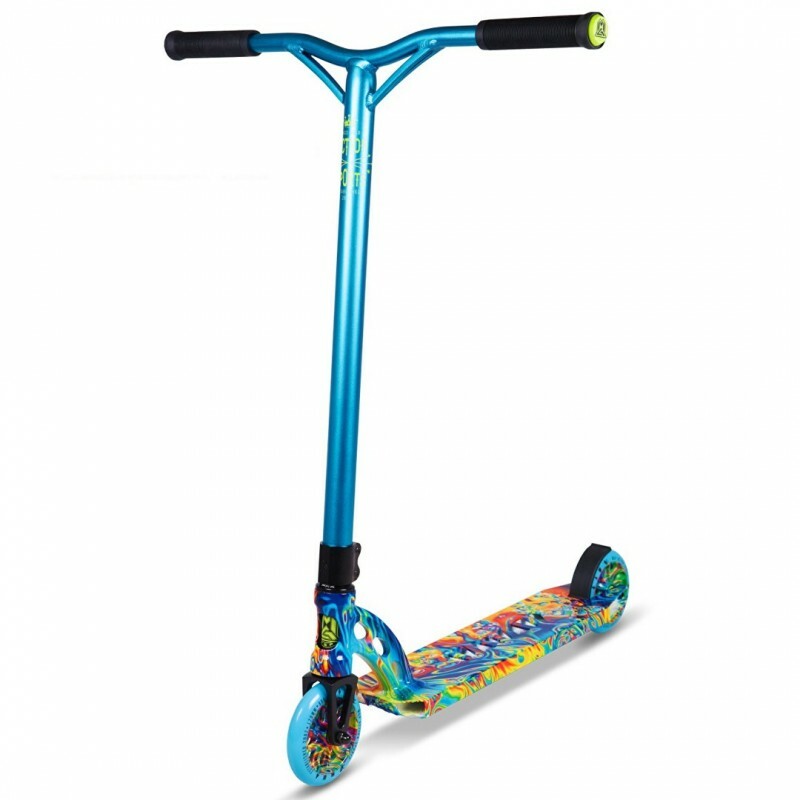 As with all MGP Extreme scooters, they feature the signature deck cut outs, and have increased the deck in length so as it now measures 20.5" long and 4.5" wide making the 6061 anodised aluminium Aero 24" wide and 25" high bars perfectly in proportion.